Coral reef health is an issue of increasing concern in many tropical and subtropical regions. Over half of the coral reefs worldwide are considered threatened. Coral reefs are becoming increasingly recognized by regulatory bodies seeking to implement policies to slow the progress of coral reef decline and to restore coral reef health. POLARIS has been involved in over 60 incidents worldwide involving scientific support for coral reef damages from ship casualties, anchor damage, oil and chemical spills and wreck removal alternatives among others. POLARIS provides support for effective response, wreck removal, coral reef injury assessment, development of habitat restoration programs and expert testimony for damage litigation. Our experience spans the Western Atlantic, Caribbean Sea, and Indo-Pacific Oceans and includes a variety of clients from industry and government. Injury to coral reefs can occur by many means, natural and anthropogenic. Physical injuries to coral reefs include natural events such as hurricanes and typhoons, and injury from vessel groundings, anchors, divers, destructive fishing techniques, dredging, coral mining, and installation of underwater pipelines and cables. Emergency environmental disasters involve complex situations with the need for rapid organization and effective planning. POLARIS responds immediately with the appropriate tools to effectively quantify losses and develop appropriate tactics to capture time-sensitive data, rescue live corals and mitigate further losses. Long-term restoration projects for physical damage vary based on the degree of injury and environmental factors that influence the potential success of the project. 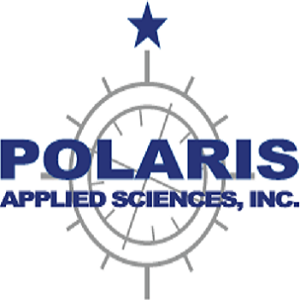 POLARIS has been involved in the development of innovative and effective restoration programs involving avoidance measures such as aids to navigation as well as coral re-attachment and coral nursery development.